Call today to take advantage of our year end special! For a limited time only we are slashing our $1,500 activation fees and we are not requiring a long term contract. Don’t delay. Call to speak to our team right away before this limited deal expires! 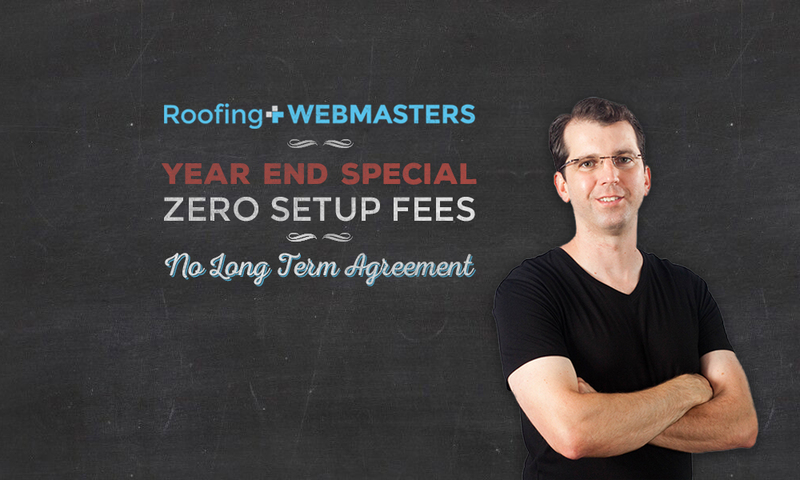 Are you ready to dominate online for important roofing related keywords? Then talk to our team about how we can help your business stand out online and rank on the first page of Google’s search results. Our professional team of designers, writers, webmasters and more are here to assist you with creating an outstanding web presence that is sure to beat out the competition. Employing revolutionary tactics, hard work and years of skilled experience, we help our clients rise to the top. There is simply no better SEO company to work with than ours and the proofs is in our work! Every single detail will be handled by our team as we build your web presence and maintain it each month. Hurry before prices go up!